*Email is preferred and fastest method of communication! 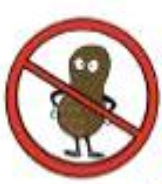 We are a 100% PEANUT, NUT and EGG FREE classroom, including daily lunches, all snacks and any classroom treats! Thank you for your support with this! Welcome to Mrs. Theresa's Class Website! Thank you for visiting our class website! We are going to have a fantastic year together filled with a lot of learning and fun! Many memories will be made as your children progress through the school year! I am excited to spend this year with your child, please visit our class website often for updates, calendar events and information about our class! Below is a link to our Back to School Night Presentation!